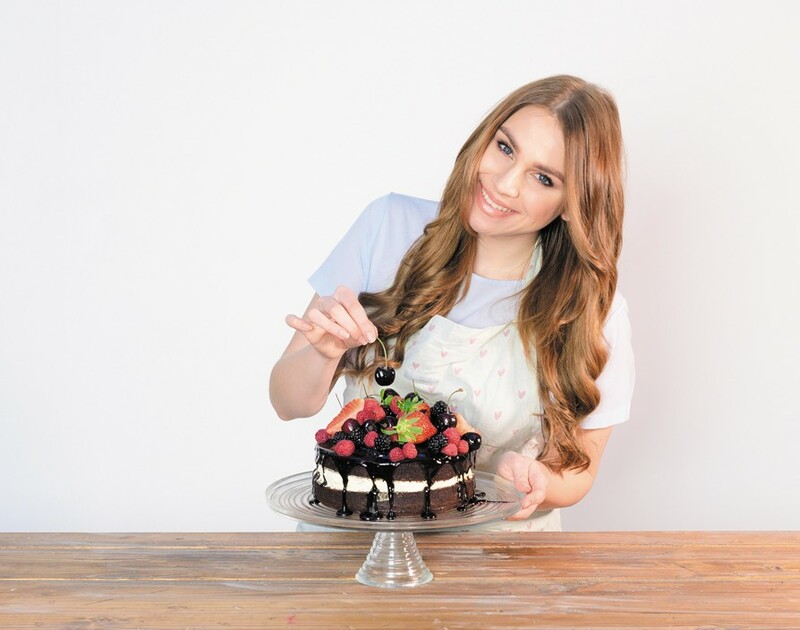 If ever there was a sign Alana Spencer had the makings of an entrepreneur destined for greatness, it was a £2,000 profit she made from her schoolteachers during her GSCE year. “I taught myself how to make chocolates and sold some to friends and family,” Spencer recalls. “And one Christmas I took in order forms and some samples for my teachers and I got a couple of thousand pounds of orders. When you’re 16, that’s quite a lot of money – I’ve always had a passion for business, probably more so than food to be honest.” Chances are after that payday she was even more passionate about the hustle of entrepreneurialism. But like all great tycoons, Spencer’s story didn’t happen overnight but had been years in the making. Growing up in a foodie family was something of an introduction to the delights of scrumptious grub, as meals would play a big part of gatherings with extended family. But largely the urge to cook was something the young Spencer had within her as opposed to something she learnt from her parents – although her mum’s career had some bearing. “My mum’s an artist, so she was always creating and there were always wacky creations around the house but they weren’t food-related,” explains Spencer. “But food is creative and so I guess I got that from her.” And while other children her age would be eager to get home and watch cartoons or play with computers in their spare time, Spencer found herself baking or tuning into cooking shows. “I loved Ready Steady Cook when I was a child,” she recalls. So understandably, Spencer had perfected her candy-creating crusade by the time she was ready to sit her exams, hence the ability to empty the pockets of her teachers. But selling sweets was by no means her first venture. “I’ve always loved having little schemes – I did car washing and stuff like that,” she says. “The first thing I ever did was a card business and I made handmade cards. They were really nice but they took me about half an hour each to make and I was selling them for £2, so it was basically slave labour. But that was my first kind of exciting look into business that I could turn something into money.” At the age of 14, Spencer had streamlined her card-creating craft and secured a £50 business order from her uncle who wanted to send festive cheer to his clients one Christmas. “I was kind of obsessed with making pocket money and then it went into chocolates,” she details, demonstrating an early understanding of investment. After leaving school, Spencer was keen to continue on the entrepreneurial journey but shocking exam results presented another path she had the chance to walk along. “I’m dyslexic but I got quite good grades in my GCSEs, which no one was expecting,” she admits, having assembled a clean sweep of As and Cs. “I was kind of expecting Cs at best.” With Spencer’s father being an academic possessing a PhD in chemistry, she felt like it would be a shame to pass up on continuing her study. “Although I wanted to go and do my business then, it was very much encouraged to go and do A-levels, which I did – well I did half, I didn’t finish,” Spencer laughs. Having completed work experience at a restaurant during her time at school, the venue had subsequently given her a Saturday job making cakes. But during A-Levels, Spencer expanded her chocolate range to incorporate cakes and started renting a spare kitchen, which is where her business was bestowed a name: Narna’s Cakes. She would head to the kitchen after school to bake instead of going home to revise, while weekends were spent selling her wares to delis and at farmers markets. “I’d massively taken my eye off the ball with my studies,” admits Spencer. The entrepreneurial bug had apparently taken hold and was incurable at this point, which meant the chocolatier made her venture a full-time commitment by the time she was 18. “It just made sense to start the business because I was really passionate about it,” Spencer says. Still, her ardour didn’t totally numb the sense of fear and anxiousness. “I think everyone including myself was quite worried about it because it’s a big step,” she recalls. “I still lived with my parents so I was quite lucky I had that [support] to be able to start [up] while I was growing it but it was quite a scary moment.” Continuing to use the kitchen she was already renting for another year, Spencer was eventually forced to find a new premises as a change of owners meant they needed the facility she was using so they could expand themselves. And for three years straight, Spencer’s attention was fixed on moving her business forward on her own. But then she met her partner Bart Thomas who started his own bakery business based on savoury foods so that the pair could complement each other. “In my mind it was the perfect combination but in reality it was an actual nightmare,” she says. As the business-driven one of the two, she found herself organising two sales strategies rather than just one. “And if he had a better day than me, I’d get really jealous,” Spencer laughs. They came to the conclusion that both focusing on Narna’s Cakes made more sense, especially since it was more profitable most of the time. This allowed the duo to cover more ground, as they could take Narna’s Cakes to two different events on the same day. Things were going well with the business at this point. “I was earning a really nice salary,” she admits. “I was earning about £50,000 a year.” However, Spencer had hit a bit of a wall in the process. “I didn’t know how to take it to the next level but I was earning a lovely wage for myself and did well saving,” she says. “It was good but I didn’t know how to get it better.” And that’s where The Apprentice came in. Having applied for the BBC One show twice before – the first application of which was for the Young Apprentice while she was at school – the third submission to get on the programme was done “on a bit of a whim” says Spencer. “Obviously I was able to go away and get a bit of experience and say ‘I’m doing a whole lot better than when I’d applied previously.’” The Apprentice proved to be quite the eye-opener though. Despite it having been in her mind for almost ten years, dreaming about becoming a candidate and, eventually, Alan Sugar’s business partner and living it were two entirely different things. “It was a lot tougher than I ever imagined,” she confesses, finding the hardest part living with such competitive people. Clearly just “a few cakes” were enough to get the bellies of viewers rumbling as well as Sugar’s. Spencer became the 2016 The Apprentice victor, bagging the billionaire businessman as a business partner and a £250,000 investment as a result. But in that surreal scenario, what’s the initial reaction that goes through your mind? “The first thing was genuinely ‘Oh my gosh, I’ve got to give away 50% of my business,’” laughs Spencer. Her fear about change proved to be relatively unfounded. While franchising would become a key ingredient for business growth following the show, Sugar was eager not to leave a sour taste in Spencer’s mouth but simply sought to sweeten the deal. “Lord Sugar basically said ‘You’ve a business here that’s profitable and doing really well, why would you stop all that and go into a complete unknown?’” Spencer remembers. Effectively, the point Sugar was making is that while she could go to a food event and have a quiet day for sales, there’s always the next weekend to pick them up. But shifting the company to focus on store-based retail, for example, could have been “risky new territory” with potential to make it “game over” for the business, according to The Apprentice boss. And in terms of franchising, Sugar was already in ownership of a franchise-based business when the idea arose to use the model with Ridiculously Rich by Alana. Demonstrating the power of having Sugar on board as a partner, Spencer was able to leverage another of his businesses from The Apprentice, digital marketing agency Climb Online, which helped develop an advert to showcase the responsibilities of a Ridiculously Rich franchisee – or ambassadors as they’re referred to by the business. “We put it on Twitter and said we’re recruiting and got just over 100 applications,” says Spencer. Eager to get connected and wanting to be as personable as possible, she started to arrange meetings with the most suitable candidates – but overlooked one minor detail in the process. “It’s quite funny, I was initially planning on meeting them all in a day and I think little things just completely slip your mind when you're so busy,” laughs Spencer. “I had a board meeting and Lord Sugar said ‘How many people have we had apply?’ I told him and he said ‘How are you going to talk to them all?’ and I said ‘I’ve got this day pencilled out’. He said ‘You’re going to talk to 80 people in one day?’ And Mike, one of advisers, calculated it and said ‘That’s one every four minutes.’” Unsurprisingly, the one day meeting with applicants was spread over four days instead. With around 70 ambassadors in the network now, the approach has worked well. Even the costs for entry are low to encourage new joiners to snap up a Ridiculously Rich by Alana franchise. “Unlike most franchises which can be upwards of £15,000 we just charge £1,000, which covers the first bit of stock [and] your setup when you go to events,” Spencer says. “What I’ve tried to do is create something a little bit different to a normal franchise that interests people that aren’t only interested in growing the business but also interested in the support element. Although it’s a franchise, I actually like to call it a friendly franchise or more of a family.” And that’s precisely why the term ambassadors is used rather than franchisees. “It’s really important they feel like they’re part of something and not just a number,” she says. In addition to ambassadors, there’s another model available in the franchise – cakepreneurs. While ambassadors can sell at the numerous events on top of supplying wholesale customers, cakepreneurs have a focus on just the latter. “As a cakepreneur you can sell just to wholesale customers and obviously friends and family and do little bits like wedding favours and those sorts of things,” Spencer explains. “Ambassadors were so busy selling to events that the wholesale side needed some more people to go out there to get our stock into cafes and delis so that’s why we created the separate role of cakepreneur.” Interestingly though, while the cakepreneur approach suits many on a permanent basis, it serves as a stepping stone for others – especially since the fee for entry is £150. “It’s quite a good way to try before you buy and come into the franchise as a whole,” Spencer opines. Although Spencer thought the approach to sales would be to target supermarkets from the get-go, she’s happy to have strolled along the franchising route. “What I have done in my opinion is a million times better than that,” she concludes.